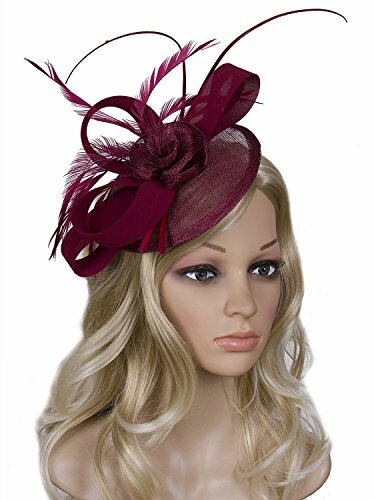 The fascinator headpiece made with high quality mesh and nylon with Feather and Beads, the hat has a hair clip that free you from worries that the headpiece will fall. In recent years, british style fascinators have become a pretty popular choice for ladies hats. They are not only comfortable, elegant but also easy to wear. Fascinators is full of utility because they can be styled with hair so one can avoid the dreaded hat head! Suitable for 20's theme party and any special occasion. A perfetct gift for your lovely girl friend, daughter or wife for party, wedding, prom, christmas, halloween, festival etc. If you have any questions about this product by Vijiv, contact us by completing and submitting the form below. If you are looking for a specif part number, please include it with your message. © 2019 - envythisstuff.com. All Rights Reserved.